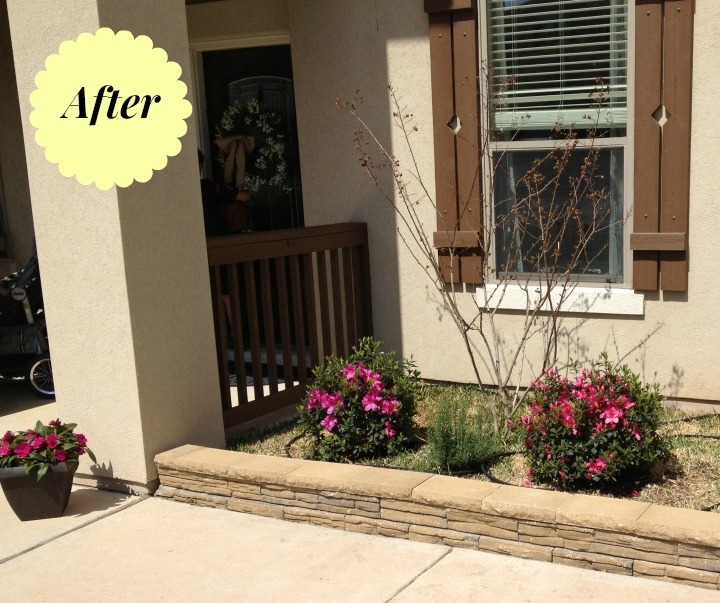 The Spring is officially here, and it is time to resume chipping away at our landscaping challenges. When we bought our house 2 years ago, it came with a lot of challenges (it was a foreclosure), which we have been tackling one by one, slowly but surely. The focus so far has mainly been on the interior of the house. The exterior and landscaping had to take a back seat for a while. Though we did make some progress with that last year: we painted the wood trim on the house exterior, which required power washing everything first, and then applying two coats of paint. It was a major job. considering that Brian had to risk breaking his neck climbing on a ladder to reach the second floor. In a 102 degrees heat. He is my personal hero. Landscaping-wise, we got rid of overgrown and ugly bushes that came with the house, and planted some wax-leaves, a pear tree and a silver maple tree. Each tree got a name. 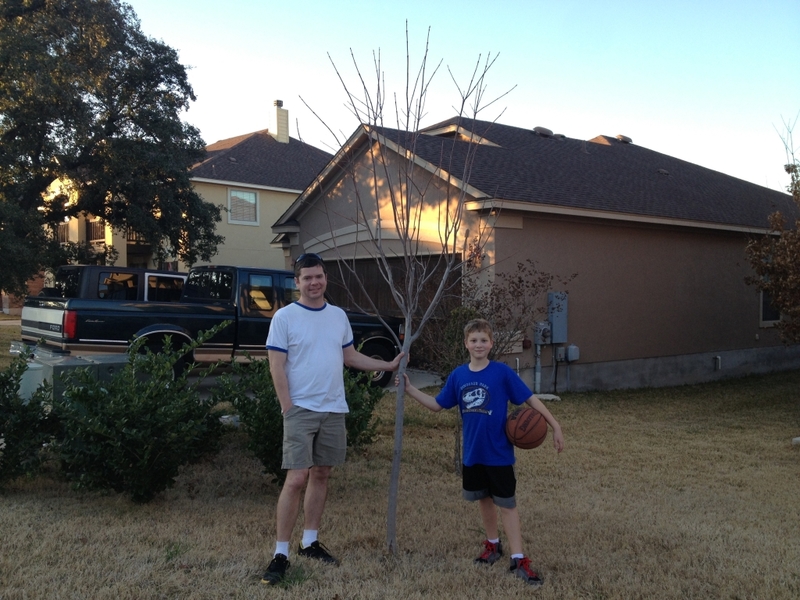 “Kevin Durant” the maple has been growing really well, and is the tallest at the moment. Way to go, Kevin! (the truck and the house in the background belong to our neighbors). * We referred to some books on landscaping for inspiration. 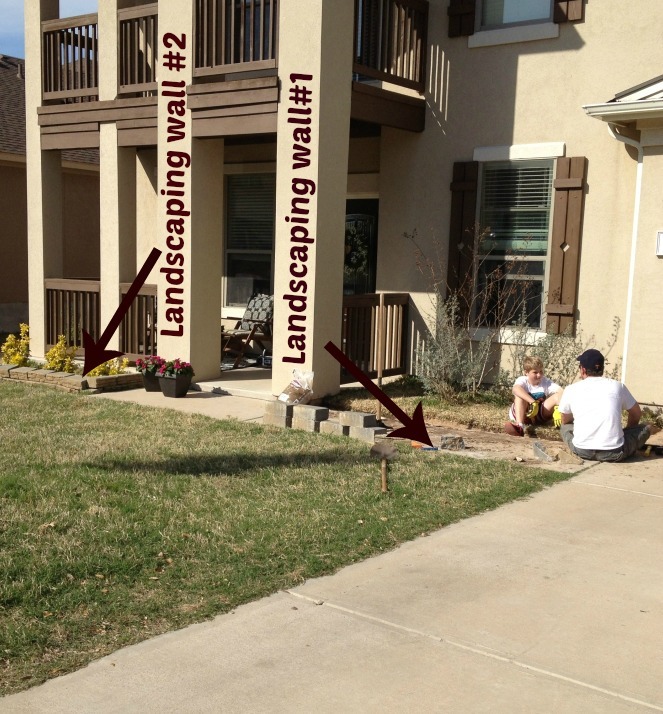 It would have been easier to hire a landscape designer, but it wouldn’t feel “ours”, not to mention the cost of hiring out. 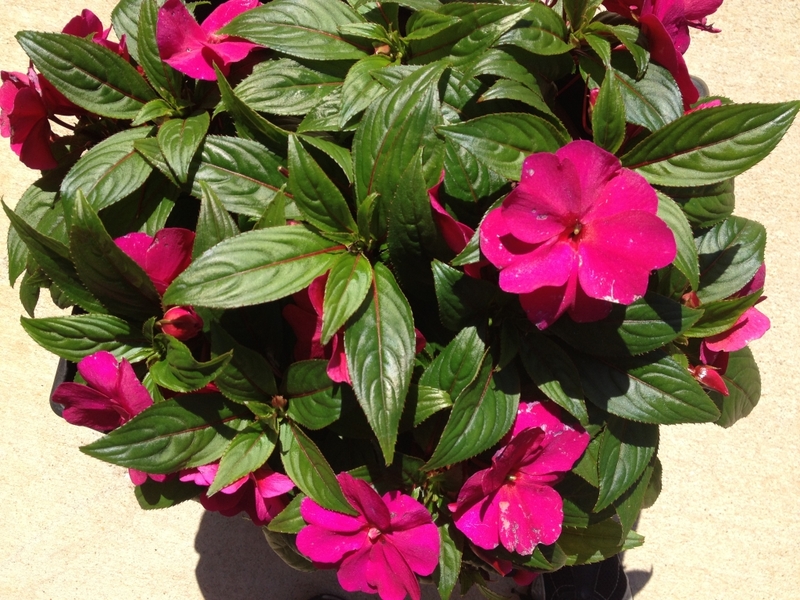 – hardiness of the plants: we wanted to make sure they are rated to survive frosts. – evergreen vs. deciduous: we wanted some greenery year round, so we selected some of both types. – the size of the plants at maturity: we mostly needed low-scale plants. * In order to make the landscaped area look finished and contained, we decided to put up a short wall enclosure around it. We (as in Brian) researched the wall installation tutorials online. 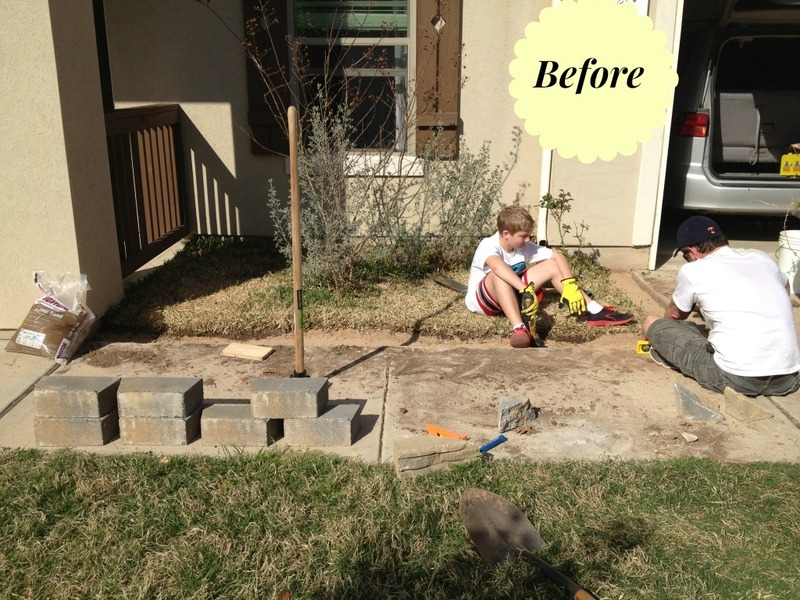 The materials and tools required for this job were purchased at Home Depot. Important note: it is essential to use proper tools for the job, even if you know this will be your only time needing them (I will write a detailed tutorial in a separate post, specifying the tools we used, as well as the steps to make the wall). We kept in mind the architecture of the house, which is very geometric and symmetrical. Working with what we’ve got, we decided to extend the wall/enclosure to the opposite side of the entrance, to create a balanced feel and ground the area in front of the house (to be completed in the upcoming week or two). The landscaping of this area is not completely finished at this point. Our goal was to create a base to which we will be adding later, once we see how the existing plants have faired, and what other plants we think will fit in the space organically. 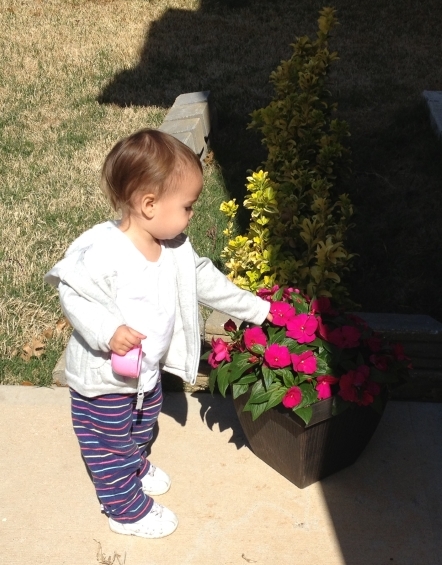 While the boys were doing heavy duty landscaping, baby and I added some bright spring colors with these easy potted flowers. Looks great! I really like the way y’all finished out that little wall. It looks so much nicer than just the stacked stone pavers that so many people use. We moved into our house almost 2 years ago also – it will be 2 years for us around June 1st. Our house is new and there is absolutely no shade. In Texas that has it’s serious challenges too. We put in two huge beds last year and this year we are focusing on refining those and keeping everything alive in a drought. It’s so much fun to make it your own, isn’t it? Looking very pretty, Mila! 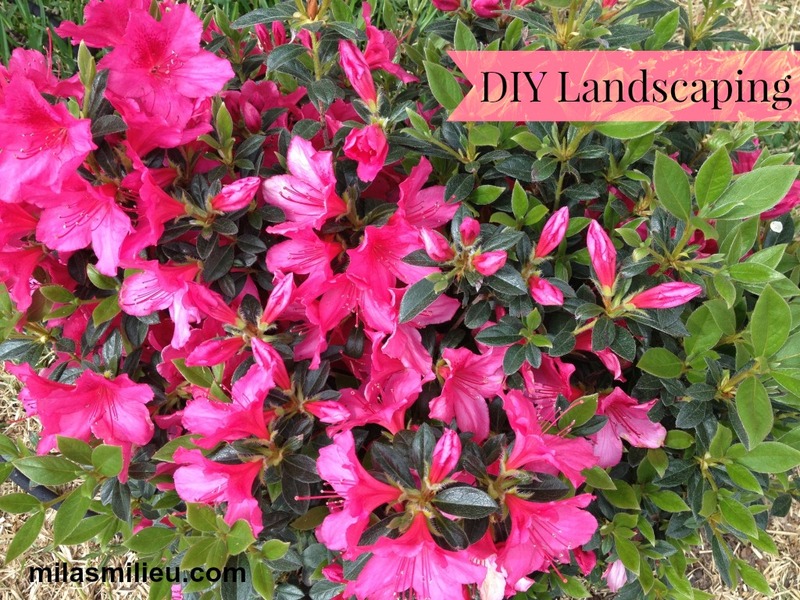 Landscaping is a lot harder than it looks!